from guest contributor eric mayers group | creme-bru-log: an online resource for critique and tastings of creme brulee from around the world! You can kind of tell it’s crappy from looking at the half-assed garnish. And I probably would have sent it back or asked for the torch. Hope you found the perfect dessert today. Happy birthday. Birthdays are cool. so sad, you looked so pumped. 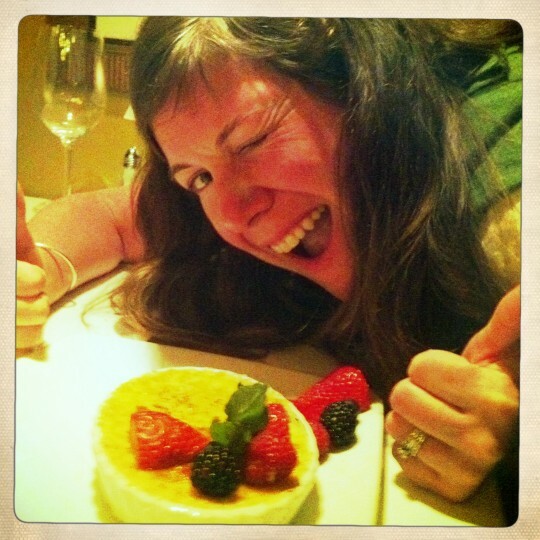 Well, to brighten the mood, I thought I would share a lovely image of a creme brule which I tasted last year. A fine one, with a very high caramel/creme ratio.